2015 Marks the 100th Anniversary of the landing at Gallipoli. 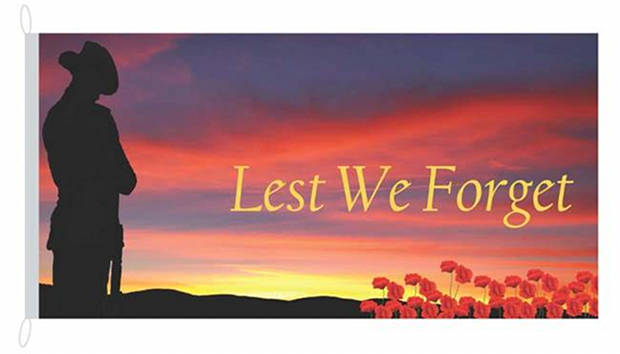 Abel Flag Poles & Flags is marking this important anniversary with a pre-order offer on our stunning Lest We Forget commemorative flags so that you too can demonstrate your support of this nationally significant event. You can now pre-order your flag for the special price of $70.00. A donation of $5 from every commemorative flag sold will be donated to the ANZAC Appeal. To order, please contact Corinne at Abel on 1300 193 714 today. This offer ends on the 20th March, 2015.